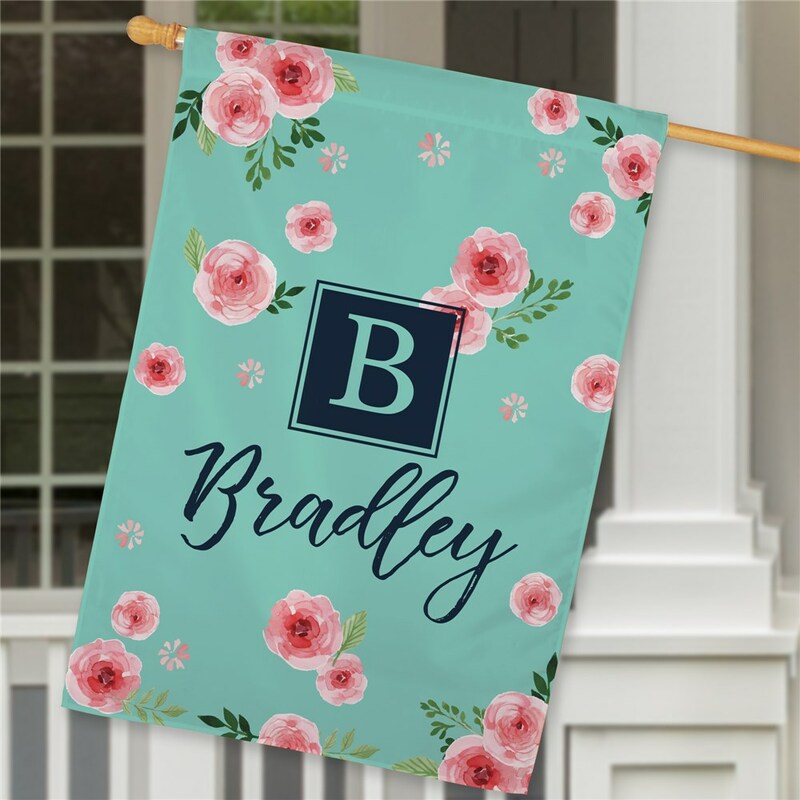 Welcome Spring with this bright and lovely Spring Rose Personalized House Flag. Our House Flags are personalized with any initial and any message line. 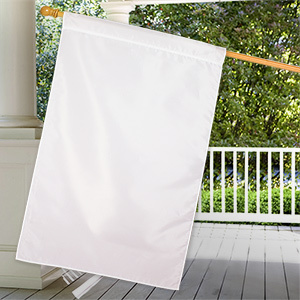 Personalized flags make a great gift for Housewarming Parties!